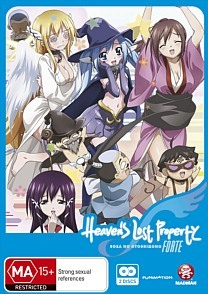 Heaven's Lost Property: Season Two Collection DVD Review Revenge garnered a number of impressive reviews upon initial release although some critics, perhaps unprepared for its sheer uncompromising nastiness, were more measured in their assessment. It may not be mature, it may not be dignified, but I must say I do enjoy the occasional foray into the juvenile realm of anime designed for (and as far as I know by) teenage boys. Pliant, top-heavy and distinctly lascivious maidens of dubious age abound, eager to please the every sordid whim of the youngsters who are usually too tongue-tied to take advantage of their nubile charms. Heaven’s Lost Property plies a similar trade to its thematic brethren such as Girls Bravo and Ikki Tousen, both Madman stablemates, and it does it with a knowing wink and no small measure of quality doe-eyed teeny tail. Tomoki Sakurai was a normal young fellow until one day the woman of his dreams fell into his lap... quite literally. Dream agent, angelic android and all-around temptress Ikaros exists only to please her libidinous young master, happily granting his frequently perverted wishes and just as often causing mayhem in the process. 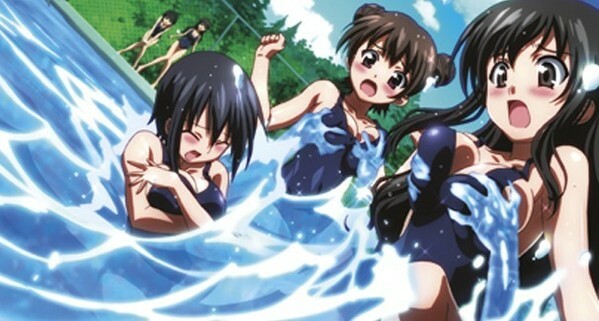 Season Two, also going by the rather more convoluted title Sora No Otoshimono: Forte, ups the ante with the addition of several new ‘angeloids,’ one of whom has been charged with eliminating the hapless Tomoki. The characterisations and storylines are deeper than in the first season, and herein trippy forays to the dream world and the realm of the angels comingle surprisingly easily with all the risqué banter and giggling pantyless fun. Smart, smutty and deliciously decadent, Heaven’s Lost Property is a madcap masterpiece, and an unashamedly guilty pleasure that doesn’t skimp on the fan service. The animation is simply sublime, and the colours really pop on this brand spankin’ 16:9 transfer. Backgrounds are lush and luminescent, character designs varied, closeups and cutaways rich and painterly - can’t ask for more than that. The two-disc set is also strong on the audio front: the English 5.1 soundtrack gives your speakers a vigorous going-over and its 2.0 Japanese counterpart also packs a surprising amount of pep, if not quite the same levels of depth and separation.